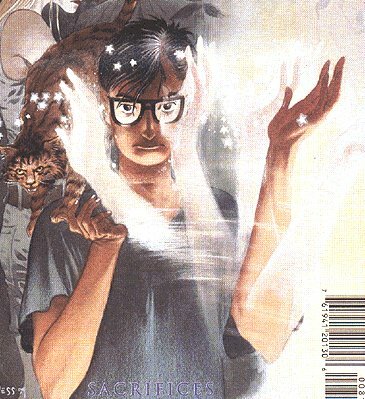 Powers/Abilities: Tim Hunter apparently has the potential to be one of the greatest mages in history, and he's learning to control his power quickly. History: Tim Hunter appeared to be like any other young teenage lad growing up in the East End of London. However the forces of magic in the world knew that somewhere on Earth a boy existed who had the potential to be the greatest mage, for good or ill, that the world had ever seen. Unable to identify exactly which child this mage might be, the Cult of the Cold Flame began slaying boys who fitted the bill. Luckily for Tim, it wasn't one of these groups that found him. Instead he was approached by four men in trenchcoats who had taken a personal interest in talking to Tim, just prior to his discovery of his powers. The four were John Constantine, British street mage; Dr.Richard Occult, magical detective; Mr.E, supernatural vigilante and timewalker; and the Phantom Stranger, the grey walker whose origins are shrouded in mystery. They had decided that Tim needed to be protected and taught about his potential, shown the realms of magic, so that he make an informed choice for his future. They hoped he would choose the right path, and be a force for good, rather than unwittingly slide down the path of evil. 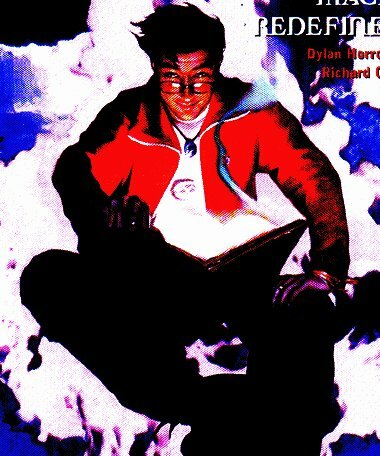 The Stranger showed Tim the past, while Constantine showed Tim the modern world's magical community. Then Dr.Occult (and his alter ego, Rose) led Tim on a tour of the Faerie lands and other dimensions. Finally Mr.E took Tim into the future, where he saw a timeline in which he led an army of evil in a war to extinguish all that was good. At the end of time Mr.E concluded that the risk of Tim turning evil was too great, and that he needed to die - only to be interupted in his attack by the Endless, Destiny and Death, who sent Tim home. Back in modern London, Tim was given a choice: enter the magical world, or give up magic forever. After some debating, Tim embraced his heritage. Several years have passed since then, and Tim is now in his late teens. It's been a tumultuous time. He has discovered that the man who raised him was not really his father, who was instead Tamlin the Falconer from the realm of Faerie, and that his mother may, or may not have been, Queen Titania of that same realm (she says she is, but she's been known to lie). When Tim was dying, Tamlin exchanged his life for that of his son, dying in his sted. He went on to face the demon Barbatos, who was allied with an older version of Tim from the future. His human mother, Mary, died (it's still unconfirmed if she was his real mother or not), and the Cult of the Cold Flame returned to plague his life. Tim allied himself with the succubus Leah against the demon Martyn, who had targetted Bill, Tim's foster father, in a bid to get to Tim. 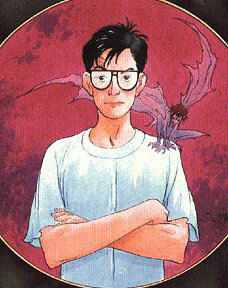 An evil doppelganger of Tim came to kill him, and Tim only deflected him from his goal by tricking him, sacrificing a time-lost version of himself to do so. Tim has finally accepted magic as part of his life, but still has to figure out how he fits into the mystic world. Comments: Created by Neil Gaiman and John Bolton.